Old Fulton Street is a street located in Brooklyn Heights in New York. 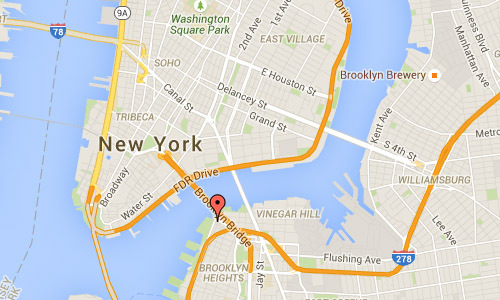 It starts near the East river and ends near Cadman Plaza West. Part of the original Fulton Street survives as Old Fulton Street in Brooklyn Heights/DUMBO and Cadman Plaza West. 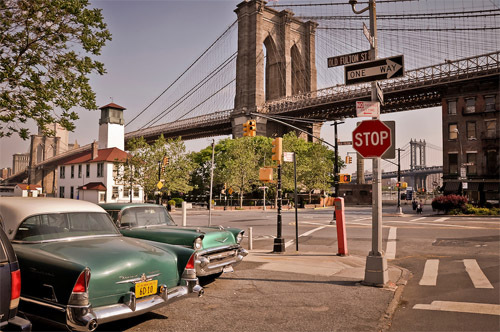 The area is most known and visited because of the proximity of the Brooklyn Bridge. Dumbo (or DUMBO, short for Down Under the Manhattan Bridge Overpass) is a neighborhood in the New York City borough of Brooklyn. 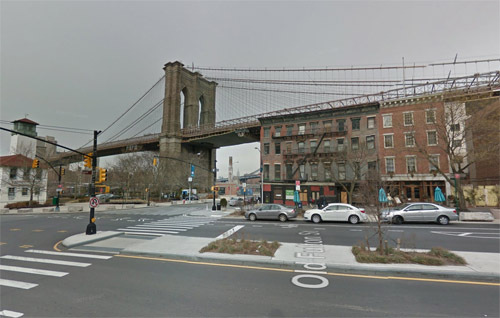 It encompasses two sections: one located between the Manhattan and Brooklyn Bridges, which connect Brooklyn to Manhattan across the East River, and another that continues east from the Manhattan Bridge to the Vinegar Hill area. The neighborhood is bounded by Brooklyn Bridge Park to the north, the Brooklyn Bridge to the west, Brooklyn Heights to the south and Vinegar Hill to the east. Dumbo is part of Brooklyn Community Board 2. Originally a ferry landing and industrial area, the entirety of Dumbo was bought by developer David Walentas and his company Two Trees Management in the late 20th century and remade into an upscale residential and commercial community first becoming a haven for artist galleries and presently a center for technology startups. 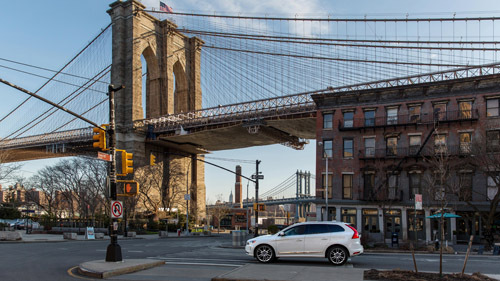 The large community of tech startups earned DUMBO the moniker as “the center of the Brooklyn Tech Triangle”. In that time, Dumbo has become Brooklyn’s most expensive neighborhood, as well as New York City’s fourth richest community overall, due in part to the large concentration of technology startups, its close proximity to Manhattan and the prevalence of converted industrial buildings into spacious luxury residential lofts. The area has emerged as one of New York City’s premier arts districts, with a cluster of for-profit art galleries such as the Klompching Gallery and such not-for-profit institutions as the St. Ann’s Warehouse and the A.I.R. Gallery. Chef Jacques Torres opened a chocolate factory in Dumbo in December 2000. Other culinary businesses in the area include Grimaldi’s, the Brooklyn Ice Cream Factory, and The River Café, all clustered in Fulton Landing, also home to Bargemusic, a floating venue for classical music. Invitations for the 2009 presidential inauguration of U.S. President Barack Obama were printed by Dumbo printer Precise Continental. The first public space in the neighborhood was Fulton Ferry, followed by Empire-Fulton Ferry State Park. The first six acres of Brooklyn Bridge Park, a joint state/city venture presently under development, were opened in March 2010. Fulton Ferry is a neighborhood in the New York City borough of Brooklyn. 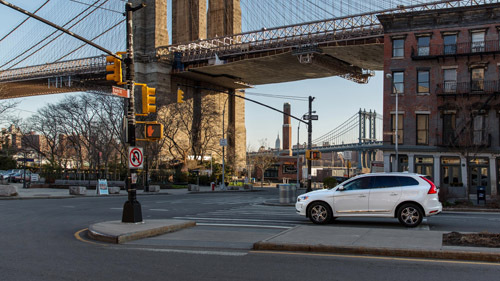 The neighborhood is named for Fulton Ferry, a prominent ferry line crossing the East River between Manhattan and Brooklyn, and is also the name of the ferry slip on the Brooklyn side. Though boats and sail ferries called at these locations since the 18th century, the inauguration of Robert Fulton’s steam Fulton Ferry Company in 1814 established his name on the ferry service, which revolutionized travel between the then City of New York on Manhattan Island and the Village of Brooklyn and the rest of Long Island. The opening of the New York and Brooklyn Bridge in 1883 assured the decline of this and other ferries on the East River. Fulton Ferry service ended in 1924. 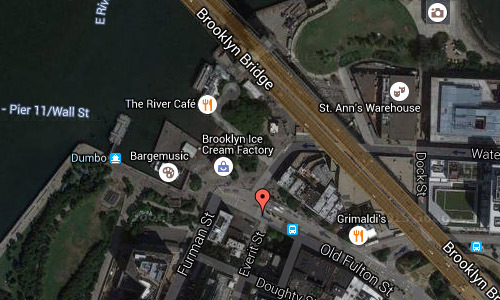 Bargemusic, a concert venue, is moored there today; the Brooklyn Ice Cream Factory sits on the pier. Manhattan ferry service returned in 2006 at the next pier to the north. 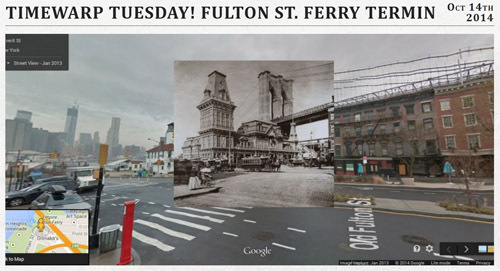 The major thoroughfares leading to the Fulton Ferry from both landings were (and are) named Fulton Street, both in Manhattan and in Brooklyn. The BMT Fulton Street Line and BMT Lexington Avenue Line (or “Old Main Line”) elevated railways both ended at the Brooklyn side of the ferry, but were later moved with the majority of trips using the Brooklyn Bridge. The Fulton Ferry District was listed on the National Register of Historic Places in 1974. More information on en.wikipedia.org, www.nytimes.com and en.wikipedia.org/wiki/Fulton_Ferry.